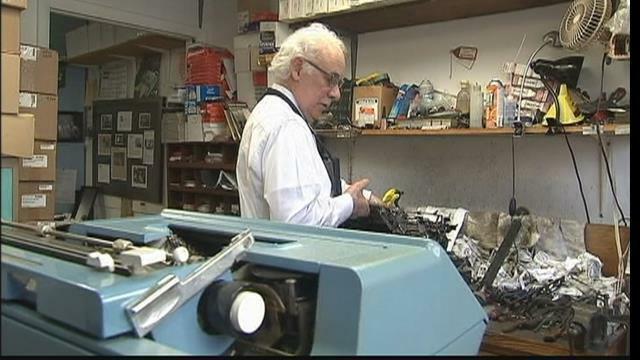 Paul Schweitzer, NYC's last typewriter repairman. 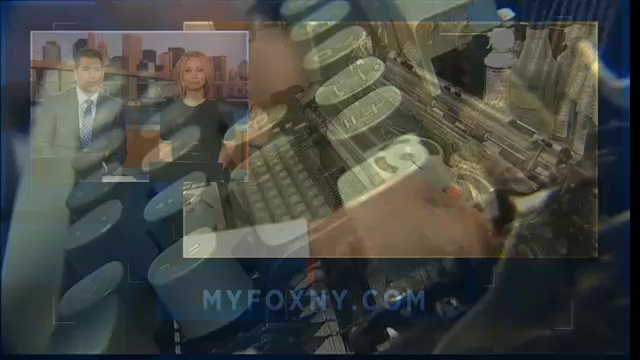 The last typewriter-repairman in New York City never learned to type. “I said: ‘No, no, that’s not for me,'” Paul Schweitzer said. At 76 years old, Paul still spends five days a week hunched over the innards of a machine built before his birth. He traipses about Manhattan visiting clients his company’s served since the Great Depression. But before we discuss the future of a man and a business focused on the maintenance of an obsolete machine, we must first revisit their past. “He started doing this work in 1932,” Paul said of his dad. Abraham Schweitzer founded Gramercy Typewriter Co., traveling office to Manhattan office and manufacturing typewriter ribbons from his Brooklyn basement. When Paul graduated from high school, he enlisted in the navy. After three years in the navy, he returned home. And after two days at home, his father drafted him into the family business. “Go get yourself a couple of suits and some white shirts and ties,” Paul recalled his father telling him. Abraham Schweitzer saw no reason his job handling inky parts, greasy gears and smelly solutions should exclude him from having to wear a suit to work. Paul’s carried on that tradition for decades. The last typewriter-repairman in New York City recalls an age when typewriter companies occupied six pages of the Manhattan phonebook. Then computers replaced both typewriters and phonebooks. Justin spent vacations, snow-days and after-school hours in his father’s Flatiron workshop. In the late ’90s, he joined the operation full-time. “I still look at them as machines that could be utilized on a daily basis,” Justin said. “Very, very little competition,” Paul said of the family business today. The Schweitzers service machines from accounting and law firms, real estate companies, the occasional police precinct and many individuals. After 55 years, Paul estimates he’s repaired hundreds of thousands of typewriters. For how long how many of the customers in Paul and Justin’s files (large notecards in boxes) plan to continue paying to service their obsolete machines remains uncertain. But as long as the phone keeps ringing, Paul and Justin — as Schweitzer men do — will continue to wind ribbon onto spools using a device Justin’s grandfather crafted in the 1930s, stockpiling odd parts in odd drawers and overseeing. graveyards of old machines to cannibalize for the resurrection of others. “I have quite a large selection in the basement of my home,” Paul said. A construction worker who rescued a man from his sport-utility vehicle as it dangled precariously over the edge of an Idaho cliff says he didn’t hesitate. “I knew I had to get him out of the car,” Jason Warnock, 29, told NBC News on Thursday, a day after the dramatic rescue. Warnock was in Lewiston, driving on Bryden Canyon Road below the crash, at around 8 a.m. when he saw a log on the road. Looking up, he saw a 2000 GMC Yukon teetering over the edge of the 30-foot drop — held in place by a chain link fence. He ran up the road and to a pedestrian bridge to reach the vehicle. He was wearing heavy work boots. “I didn’t think I was going to make it,” Warnock said. “I was going to break the window with one of my tools, but I was worried that the impact might push the car over the ledge,” said Warnock, who lives in nearby Clarkston, Washington. The driver, 23-year-old Mathew Sitko, eventually rolled down the passenger side window and Warnock was able to pull him to safety. The dramatic rescue was captured by a photographer for the Lewiston Morning Tribune newspaper. Sitko was disoriented, and reaching for his music player, Warnock said. “He just asked about his iPod, and then I was like, ‘Give me your hand, you know, because if this thing goes I want to have a hold of you so I can yank you,'” Warnock said. “He was pretty broke up in what he was saying but then he was like, ‘I started reading the Bible last night.’ And I was like that’s awesome, you know, that’s great. Great news,” Warnock said. “I think maybe God … put me here at the right time, and he held you up here for sure for a reason,” Warnock remembers telling the driver. “Maybe it’s meant to bring you closer to him,” he told Sitko. Lewiston interim police chief Roger Lanier said the accident was triggered by “some sort of mental or emotional episode” that Sitko was having. He was treated for minor injuries, police said. Warnock said he doesn’t want much attention for his efforts, which is why he left as soon as police arrived, not even giving the officer his name. They sat in the grass and chatted until police arrived.